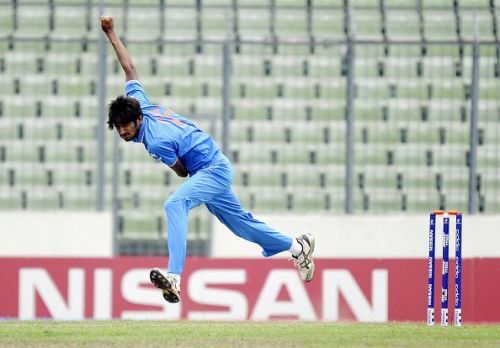 Khaleel Ahmed is a promising left-arm bowler who plays from Rajasthan in the Ranji Trophy. He has come a long way from playing tennis ball cricket in his hometown Tonk to getting selected in the Indian team squad for the Asia Cup 2018. He has shown his prowess in Indian scene with a great exhibition of his bowling. In only 17 List-A matches he has taken 28 wickets with an average of just 22.50. He is a pretty tall guy and has the ability to bowl over 140 kph regularly. He was also a part of the under-19 team for the 2016 U-19 World Cup. He was coached by Rahul Dravid while being a part of the under-19 team. Rahul Dravid has always held him in high esteem. When he had become a part of the Delhi Daredevils team his association with Dravid was extended who was the mentor for the Daredevils at the time. Recently he was in the news for his amazing performance in the Syed Mushtaq Ali trophy. He took 17 wickets in the tournament at an average of just 15.53. His strike rate and economy were also equally impressive. He was also noted for clocking 148 mph while bowling during the tournament. These performances have been a huge factor in him being selected for Asia Cup 2018. He is expected to make a mark in the tournament if selected to play a match. Former Indian left-arm seamer Zaheer Khan has played a huge role in nurturing the talents of Khaleel and helped him overcome many technical difficulties he had earlier in his career. Zaheer rates him as a very bright prospect for the Indian team in the near future. Khaleel has all the qualities to turn into a genuine match winner for Team India. Let us hope that he can push himself and keep working on his abilities to sustain a long international career and take plenty of wickets.